STANDING ovations over, a smartly dressed lady was heartily congratulated at the Cairo Opera House by enthusiastic patrons at last month's brilliant performance featuring Italy's Solisti Veneti conducted by Claudio Scimone. Among the well-wishers were Soha Arafat and the wife of Egyptian prime minister Atef Sidki. The lady receiving the kudos was Carla Maria Burri, Director of the Italian Cultural Institute in Egypt. With the unqualified support of her embassy and Egypt's Ministry of Culture, she is responsible for several on-going cultural activities with the Cairo Opera. 'La Burri', as she is often called by her close friends, is a Lombardo-born Italian of Piedmontese origins. She arrived here in 1956, a young student of classic archaeology. Unknown to her at the time, this visit was the beginning of a long love story with Egypt that lasts till today. When she returned to Italy later in the year, hers was the last passenger ship to depart Alexandria. It was the eve of the October 29 Tripartite Agression when England, France and Israel occupied Sinai and the Suez Canal Zone. A new chapter in Egypt's history was about to unfold. It was on her first visit to Egypt that La Burri was initiated into Egyptology --the social kind. On her sea voyage to Alexandria she ran into Jeanette de Bono, the sister of Father Pierre Ayrout, a missionary with a zeal. Father Ayrout in those days was crisscrossing Upper Egypt on the back of a donkey visiting all kinds of remote villages. In Burri's words, "L'Egypte nous a ouvert ses bras". The rest is history. The next visit to Egypt took place in 1959, following Burri's graduation from Milan University with a Laurea (degree) in Greco-Roman Papyrology (study of papyrus). One of the highlights of her second trip was the visit to Abou Simbel aboard a Sudanese packet boat which ran the Aswan-Wadi Halfa route. This was a ragtag steamer with a variety of boats and fellucas attached to it. It sailed from the last Cataract, stopping at different Nubian outpost, before it reached Sudan. The overnight visit to Abou Simbel meant sleeping on the Nile banks under the shadow of Rameses the Great. An experience which further bonded Burri to Egypt. There was no Lake Nasser in those days. These were the last few years before the sacred temples were moved to their present uphill location. Burri witnessed first hand the last of the great Nile floods when the brown, silt-heavy churning waters contrasted dramatically against a clear blue sky. A breathtaking tableau that latter day archaeologists can only fantasize about. When Burri first set eyes on Philae, it was during those annual precious hours when the half submerged temple came out from under the Nile. This wonderul initiation coincided with Burri's grant to study archaeological sites in and around Fayoum, an area famous for its Greco-Roman heritage. By now, she was affiliated with Rome University studying Oriental Archaeology with particular emphasis on the Mesopotamia - Egyptian parallels. Another visit to Egypt took Burri back to her beloved Nubia. The entire region was once a famous Roman outpost as evidenced by the forts of Kasr Ibrin (Castra Primis). Because of the High Dam, it was now marked for extinction, doomed to eternal submersion under the world's largest man-made lake. It was a race against time to survey an entire area for archaeological traces of ancient civilizations so predominant in these parts. A massive man-made barrier was about to choke the Nile at its most vulnerable point. Burri was among the concerned archaeologists exploring Nubia when work started on the HIgh Dam in 1962-64. She was on a meagre grant from the Turin Museum which meant living quarters was aboard a rudimentary dahabia (Nileboat) belonging to the Antiquities Department moored at al-Dor. Burri's interest was Nubia's Christian churches. Because this region had resisted conversion up until the year 1200 A.D., remains of Christian places of worship were plentiful, their fort-like shape easily recognizable. In an effort to save what would soon be submerged, a list of temples and other major archaeological finds was drawn up. President Nasser decreed that anything saved could be transferred outside the country by the respective foreign archaeological teams, compliments of the state. Under Burri's supervision, the 18th Dynasty temple of ELESEJA, a beautiful piece of architecture half encrusted in a mountainside (emi-speous), was carefully carved out and dismantled stone by stone for shipment and re-assembly at the Turin Museum. In recognition of her achievements, Burri was duly acknowledged and decorated by the Italian Government. Since Eleseja was one of the first monuments to be legally exported out of Egypt, Burri was one of the first to meet head on the bureaucratic minefields that lay ahead. This was a daunting experience at times more challenging than the excavation itself. She eventually succeeded to get all the required signatures thus opening the way for the other teams ÷ American, Dutch, Spanish ÷ who followed in her steps. This was Burri's first initiation to the 'other' Egypt, an experience that would prove invaluable many years later when she assumed higher administrative and cultural responsibilities. In 1964, Italy's Ministry of Foreign Affairs decided to expand the decade-old Italian Cultural Institute in Cairo so that it include an Archaeological Department. Burri was its first chief. By then 'La Burri' had become a household name amongst Egypt's archaeologists, Egyptologists and other illuminati. She knew them all: architect Hassan Fathi, painters Indji Aflatoun and Margo Veillon; sculptor-author Andre Fahmy; scholars Magdi Wahba and his wife Josephine Salkind, and Culture Affairs Minister Sarwat Okasha. The best Egypt had to offer had come Burri's way on a silver platter. That is why, when the June 1967 War broke out and the country swarmed with media men in search for "the" story, La Burri was a required stop for any Italian journalists or anchorman who had dropped in. Burri lived through Egypt's transition observing as the country came to grips with modernization sometimes at the expense of characteristics and hallmarks that were typical only to Egypt. 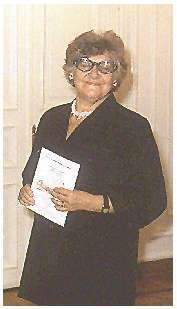 In 1970, she was appointed Deputy-Director of the Italian Cultural Institute, and in 1975, its Director. The emphasis during her long administration has been the promotion of liberal arts keeping in touch with a whole generation of Egyptians who had gone through the "Italian experience" whether in Rome, Perugia, Urbino or Venice. One of the first serious attempts at educational cooperation, was the one initiated with Ain Chams University for the introduction of Italian Civilization as an elective. Notwithstanding the flow of scholarships offered by the Italian Government, these had to be reduced for budgetary considerations. With colonialism a thing of the past, state-sanctioned export of culture is dead. But on the other hand, says Burri, knowledge of other cultures is almost certainly beneficial to the improvement of international relations. The re-discovery of Italy through its scholars, poets and artists has been and remains one of Burri's priorities. Under her administration, the Italian Cultural Institute exhibited the works of countless Italian painters and sculptors including Mazzullo, Turcato and Caruso side by side with Egypt's Aflatoun, Ragheb Ayad and W. Wissa-Wassef. In the field of archaeology, the Italian Mission continues its research crowned recently with Edda Bresciani's discovery of invaluable artifacts from the Roman period near Sakara. She is now conducting Middle Kingdom digs in Fayoum. One of Burri's personal achievements in Egypt took place in the '70s. This was the re-discovery of a twirling dervish tekia "Mawlia" and theater in Helmiya. The wooden edifices and the adjoining mosque of Sounkoun-Saada were in advanced decay, but thanks to Carla Burri, they were given a second chance and are presently in the final stages of restoration. Another Burri achievement was the launch of the Archaeological Bulletin, a trimestrial publication which shared news and updated the archaeological events taking place in Egypt. After an enriching career in Egypt, La Burri was awarded the post of Cultural Attache in Belgrade in 1981. The proximity of former Yugoslavia to Italy meant overlapping cultural interests and round the clock traveling to that country's nine political regions some of which had large communities of Italian descent. Burri spent the period 1986-91 in Greece. And when she returned to Egypt in 1993, as Director of the Italian Cultural Institute, a local paper printed a CARLA COMES HOME banner. Her return coincided with Cairo Opera's 125th anniversary (1994) in which Italy had its major share of events. The old Opera House, after all, was built by an Italian, Pietro Avoscani of Livorno. From the day it opened to the sounds of Rigoletto on November 1, 1869, in time for the Suez Canal's inaugural celebrations, the CairoOpera House was a beacon of Egypto-Italian cultural relations. Today, with the valued patronage of Signor Alberto Bartoli, Italy's ambassador to Egypt, the Italian Cultural Institute is stepping up its activities in all sectors. A short while ago Bartoli inaugurated the Italian School in Boulak (built early this century by Tullio Parvis). In a few weeks he will launch the new premises of the Italian Archaeological Mission in what used to be the Italian Consulate on Champollion Street. Still to come in the field of literature are the translated works by famous Italian authors who dealt with Egypt such as Fausta Cialienti. Although far from finalized and funds permitting, Burri's ambition is to bring over the Teatro Bellini of Catania with the opera La Norma. Should this event ever take place it would be like turning the clock back to the days when New Year in Egypt started off with the Italian opera season. Undoubtedly, a befitting tribute to someone who did more than her share in promoting Egyptian-Italian relations. Brava Carla!